Indonesia is projected to have a Muslim population of around 230 million in 2020, the largest in the world, as it is currently. This is according to figures from Pew Research Center (2015). Not all regions of Indonesia have a Muslim majority, such as West Lesser Sunda Islands, West Papua, and Papua, which have Christian majorities, according to Operation World (2010). Brunei and Malaysia are also majority Muslim. 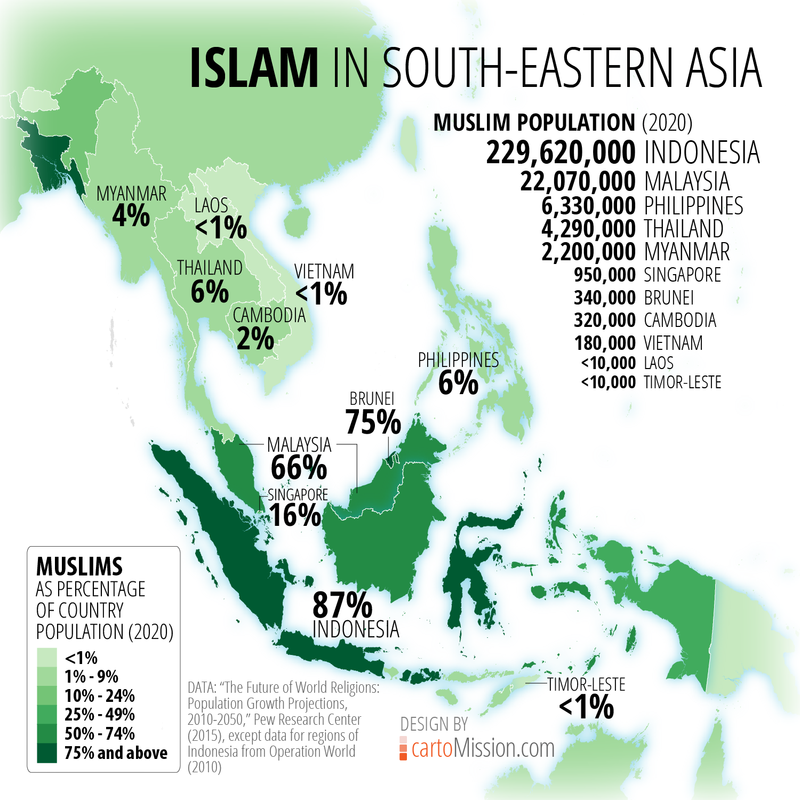 In terms of total Muslim population, Malaysia, Philippines, Thailand, and Myanmar follow Indonesia.